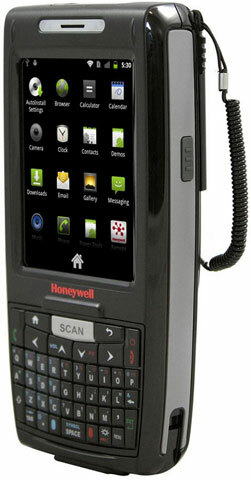 It is replaced by the Honeywell CN51. 80211a/b/g/n / Bluetooth / GSM And HSDPA for voice And data / QWERTY / GPS / Camera / Extended Range Imager with Laser aimer / 256MB x 512MB And 2GB SD card / Android 23 / Ext Battery / WW English. Scan distance is from contact to 2.5'. Interface cables And Charging Cradle Sold Separately. Wi-Fi (80211a/b/g/n), Bluetooth, GSM & HSDPA for voice + data, Numeric, GPS, Camera, Standard Range Imager w/ Laser aimer, 256MB x 512MB + 1GB SD card, Android 23, Ext Battery. Interface Cables And Charging Cradle Sold Separately. 80211a/b/g/n / Bluetooth / GSM And HSDPA for voice And data / Numeric / GPS / Camera / Extended Range Imager with Laser aimer / 256MB x 512MB And 2GB SD card / Android 23 / Ext Battery / WW English. Scan distance is from contact to 2.5'. Interface cables And Charging Cradle Sold Separately. 80211a/b/g/n / Bluetooth / QWERTY / Camera High density Imager w/ Green LED aimer / 256MB x 512MB And 2GB SD card / Android 23 / Ext Battery / WW English / Healthcare. Interface Cables And Charging Cradle Sold Separately. Wi-Fi (80211a/b/g/n), Bluetooth, QWERTY, Camera, Extended Range Imager with Laser aimer, 256MB x 512MB + 1GB SD card, Android 23, Standard Battery Non-Cancelable/Non-Returnable. Scan distance is from contact to 2.5'. Interface cables And Charging Cradle Sold Separately. Wi-Fi (80211a/b/g/n), Bluetooth, Numeric, Camera, Standard Range Imager w/ Laser aimer, 256MB x 512MB + 1GB SD card, Android 23, Ext Battery. Interface Cables And Charging Cradle Sold Separately. 80211a/b/g/n / Bluetooth / Numeric / Camera / Standard Range Imager w/ Laser aimer / 256MB x 512MB And 2GB SD card / Android 23 / Ext Battery / WW English. Interface Cables And Charging Cradle Sold Separately. Wi-Fi (80211a/b/g/n), Bluetooth, Numeric, Camera, Extended Range Imager with Laser aimer, 256MB x 512MB + 1GB SD card, Android 23, Ext Battery Non-Cancelable/Non-Returnable. Scan distance is from contact to 2.5'. Interface cables And Charging Cradle Sold Separately. Wi-Fi (80211a/b/g/n), Bluetooth, Numeric, Camera, Extended Range Imager with Laser aimer, 256MB x 512MB + 1GB SD card, Android 23, Standard Battery. Scan distance is from contact to 2.5'. Interface cables And Charging Cradle Sold Separately. 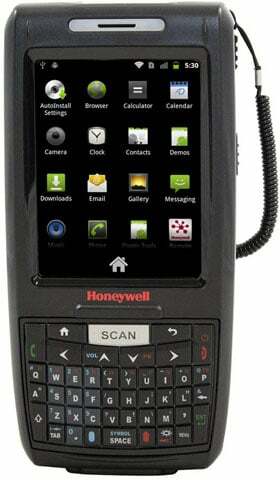 Wi-Fi (802.11a/b/g/n), Bluetooth, QWERTY, Camera, Standard range imager with laser aimer, 256MB x 512MB + 1GB SD card, Android 2.3, Ext. battery. Non-Cancelable/Non-Returnable. Wi-Fi (802.11a/b/g/n), Standard Range Imager with Laser Aimer, Android 2.3, GSM & HSDPA for Voice & Data, QWERTY Keypad, Bluetooth, 256MB RAM/512MB Flash, 1GB SD Card, Standard Battery, GPS. Interface cables and charging cradle sold separately.